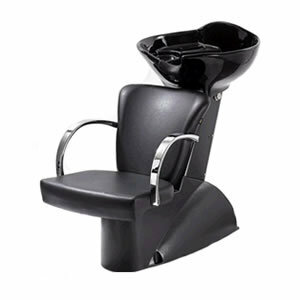 Direct Salon Supplies Palermo 3000 Washpoint Complete. Available with wood finish or chrome arms (Please Use The Drop Down Box To Choose), Tilting Basin, Complete Mixer Set, Braided Hose and Plumbing. 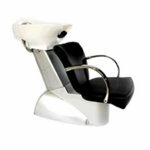 Available with black or brown chair with white or black basin, silver or black base unit. Sizes Length 120cm and Width 65cm And Height 95cm.